“God must be in prison, because that’s where so many people seem to meet him.” Gerald “Rip” Ripley speaks from experience, having been there himself. Now he is not only trying to put the past behind him and move on with the future, he’s trying to help the others in his life do the same. In The Sinners’ Garden (Thomas Nelson/December 17, 2013/ISBN: 978-1401687380/$12.99), William Sirls shares some of his own hard-learned wisdom, writing more of himself into the character of Rip than he would sometimes like to admit. 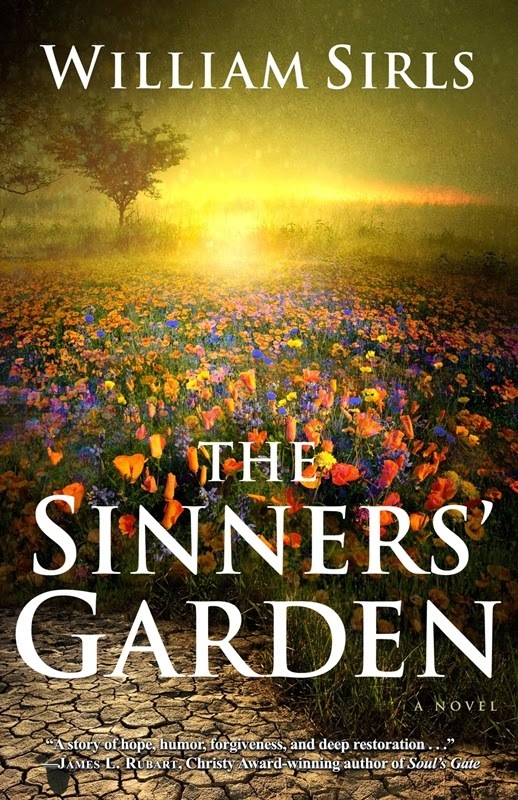 Q: Can you tell us a little bit about your new book, The Sinners’ Garden and specifically what the garden represents to you? As is The Reason [my first book], The Sinners’ Garden is a story of forgiveness and second chances that takes place in a small town in southeast Michigan. Like the characters in the book, we are all given second chances, actually a lot more than that, and the “garden” that shows up overnight behind an abandoned steel mill is the physical manifestation of the source of that forgiveness…or is it? Q: Most of your characters in The Sinners’ Garden seem to dwell in the past with the exception of Rip who put his past behind him after prison. Was there a reason behind that? Of all the people in the book, Rip’s character represents the greatest understanding of what someone needs to do to put their past behind them, regardless of anything that has happened in that past. Q: Why do you think people in general have such a difficult time putting their past and their mistakes behind them? It’s okay to make mistakes. What isn't okay is when we let what happened yesterday, ruin today. Divorces, break-ups, that thing you said to your boss, that job opportunity you blew, the time you didn't spend with your kids… it, too, goes on and on. But regardless of how long you dwell on something, or how quickly you can let something go and move on, the fact remains that we all make mistakes, and Rip’s character understands this. He also knows that God gives us choices. He gives us a choice, and with any choice comes the possibility of choosing unwisely. And with many of those unwise choices often comes a great deal of pain. But you don’t have to live in the past. The only thing you can do about the past is learn from it. You aren't defined by your past. Today is a new day to make a fresh start. You've heard it all before? Of course you have. Rip also wants to share with that whether suffering is caused by our own hands or someone else’s, we should allow our past and future disappointments to be opportunities to show our faith in God. Then we should watch as our faith sets forth an inspiring example that will draw others to God. What single greater thing could we possibly do? Q: You are very transparent about your own life and time in prison. What truth does Rip’s line “God must be in prison, because that’s where so many people seem to meet him” hold for you? Prison is one of those experiences I wouldn't wish on my worst enemy, but at the same time, there are few things that I would trade the experience for, because from a spiritual standpoint, it gave me the opportunity to slow down and realize what is important. I think it’s unfortunate that so many of us get into daily routines that don’t include time for God. We wake up, take a shower, eat breakfast, kiss the kids goodbye and head off to work. Then we come home, eat dinner, kiss the kids goodnight, and then head off to bed in order to rest up and do the same thing all over again the next day. Just like a little kid being put in “timeout,” God knew what was missing from my life and even though I always had time for Him, He made sure I had a little more of it. Q: What lessons do you feel God taught you during your incarceration? Even though I always had the time, prison gave me a little more of it to read the Bible, pray, spend time with other Christians, and most importantly, it allowed me to develop the patience to sit back and really watch what happens as you develop a relationship with God. I think too many new Christians expect to hold their hands up and watch manna immediately fall from the sky. It doesn't work that way. I would tell a new believer to be patient, develop your faith, and then really pay attention to everything that happens in your life. Before you know it, you will see things that can only be Him. In my case, as my faith became stronger and stronger, I learned valuable lessons involving grace, forgiveness, serving instead of being served, and a big one for me was realizing that the world doesn't revolve around William Sirls. What that came down to was once I put God at the center of everything, it was amazing how the pieces of my life began to come together. Before long, I became increasingly anxious to share some of the things I learned, but at the same time, I didn't want to come across as some jailhouse lunatic, so I figured my best way to share these lessons was to sprinkle them amongst characters in my writing. Q: How much of you is the character of Rip based on? Q: Have you witnessed a modern day miracle? Unfortunately, I am living and breathing proof of what can happen when we use the gifts God has given us for our own glory instead of for His. Fortunately, I am also proof of His endless grace and forgiveness. The fact that He can turn someone like me around is a miracle that can happen with anyone. Q: As a Christian author, do you feel a responsibility to provide more than simply a great story to readers? Is there a specific message you hope readers walk away with? I think all authors want to entertain readers, but as a Christian author with a checkered past, it’s extremely important to me that readers not only enjoy the book, but walk away from the story feeling closer to God. I want to present Christians in a favorable light without shoving “religion” in anyone’s face. I think it would be great if readers that enjoy the book would pass it on to friends of theirs that are “on the fence” with their faith or even non-believers. Don’t get me wrong, there is no substitute for the Bible, but it would be great if one of my stories could create dialogue between friends that could break that sometimes awkward ice … that “bible” or “Jesus” conversation that too many of us are uncomfortable having with those that we care about, but still haven’t been saved. Once that ice is broken and some meaningful dialogue is under way, hopefully that conversation leads to the Bible, and then to that special sacrifice that was made for all of us. Q: You originally planned to self-publish your first book, The Reason, but Thomas Nelson picked up your book and published it at the last minute. 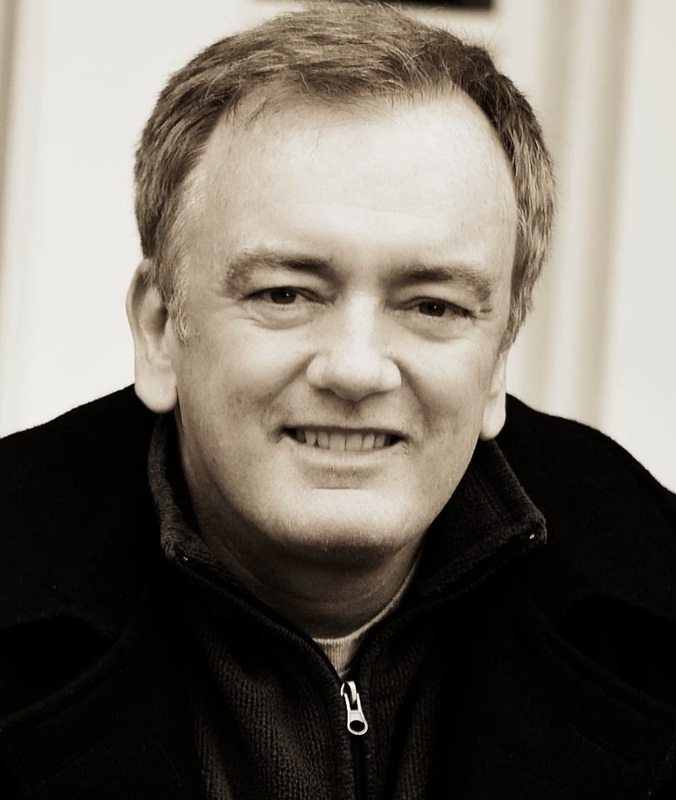 How did that happen and what advice would you offer to aspiring authors? Whenever I think about this, I shake my head. God has been too good to me. I’m fortunate to have missed the need to hunt for an agent or ever submit my manuscript to a traditional publisher, yet still ended up working with the biggest Christian publisher in the world. I had originally planned on self-publishing The Reason, and a few months before the self-published version of the book was going to be released, was pretty comfortable with the story and decided to print 100 advance copies to create a little buzz. I then contacted some of the biggest churches in the country and asked if they had any avid readers who would be interested in reading an advance copy of the book and then maybe provide me with feedback. Once I had permission, I included a letter with each copy sent. In the letter, I introduced myself and provided my phone number and email address, and also mentioned I would greatly appreciate it if the reader would let me know what they thought. I didn't hear anything for a month or so, and I was expecting, at tops, maybe a half a dozen responses. Beyond getting any general feedback, I also wanted to identify recurring themes or concerns readers had so that I could make revisions before the final version of the book was released. Then I received my first email from a woman out west that said she enjoyed the book and couldn’t wait for it to come out. It was an awesome feeling. And then I received a phone call from a woman that ran a church bookstore, wanting to know how they could buy it. Before I knew it, we had around 250 responses from men, women, teenagers, and ministers, sharing how the book affected them in ways that I couldn't believe, and these responses were so heartwarming that they literally changed the reason I want to continue to write. Fortunately, one of those advance copies we made ended up on the desk of a receptionist at Thomas Nelson, and it was her response to the book that resulted in it being passed on to their fiction team. Just before we were to release the self-published version of The Reason, Thomas Nelson picked up the title along with a request for me to write two additional titles. Once again, God has been quite good to me, and I couldn't be more thankful. In terms of advice for aspiring authors, I’m sure they've heard it before, but the best advice anyone can give about getting better at writing is to write a lot and read a lot. Also read before you write, as it greases the wheels and gets you in the mood. When you have writer’s block, write about your writer’s block. Just like anything, the more you practice, the better you will get. I haven’t taken any writing classes, gone to conferences, or worked with writers groups, but I do have a group of reader friends I show my work to that I trust to tell me what I need to hear, instead of what I want to hear. Also, if you are writing fiction, try writing your ending first, that way your characters have targets to hit. Before you know it, they will be telling you what to do. For more information about William Sirls and his books, visit his online home at www.williamsirls.com, become a fan on Facebook, or follow him on Twitter (@williamsirls).